HR professionals like you are facing new and larger challenges each day due in part to a changing workforce, shifting legislation and regulations and so much more. 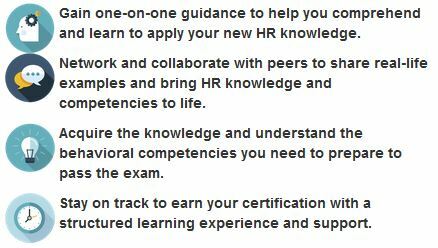 Ensure you're prepared for these changes, and anything else thrown your way with SHRM's global HR credentials, SHRM-CP and SHRM-SCP. By becoming SHRM certified, you prove your knowledge, competency and value to colleagues and to employers looking for a competitive edge in today's global economy. Wherever your career takes you, your SHRM certification will define you as an HR expert and leader, and our course can help you get there. Looking to get SHRM-CP or SHRM-SCP certified? Let our team of experts help you get there. 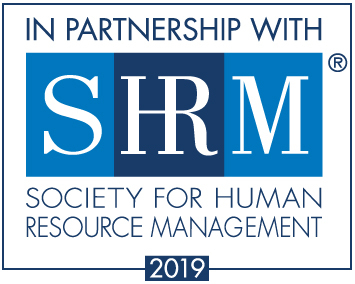 Our course combines expert instruction with the 2019 SHRM Learning System to offer a comprehensive and effective way to prepare for success on your SHRM-CP and SHRM-SCP exam. If you're not interested in certification but want to improve your HR skills, this course provides a comprehensive and accelerated option for professional development. Participants gain a generalist viewpoint, refresh key ideas and concepts, strengthen their understanding of core behavior and technical competencies and increase productivity in the workplace. Enhance your learning experience with premier tools that complement our course! The 2019 SHRM Learning System offers a personalized SmartPath™ learning experience that is designed to dynamically adjust based on your progress and proficiency. Real-time results allow you to use your time wisely and increase readiness for the SHRM-CP and SHRM-SCP exam. Along with your classmates, you'll learn one small topic segment at a time to ensure you have a clear understanding and can apply the concept quickly and easily on the SHRM-CP or SHRM-SCP exam and in your day-to-day HR responsibilities. These learning modules also provide an in-depth exploration of the knowledge domains and behavioral competencies tested on the SHRM exams. 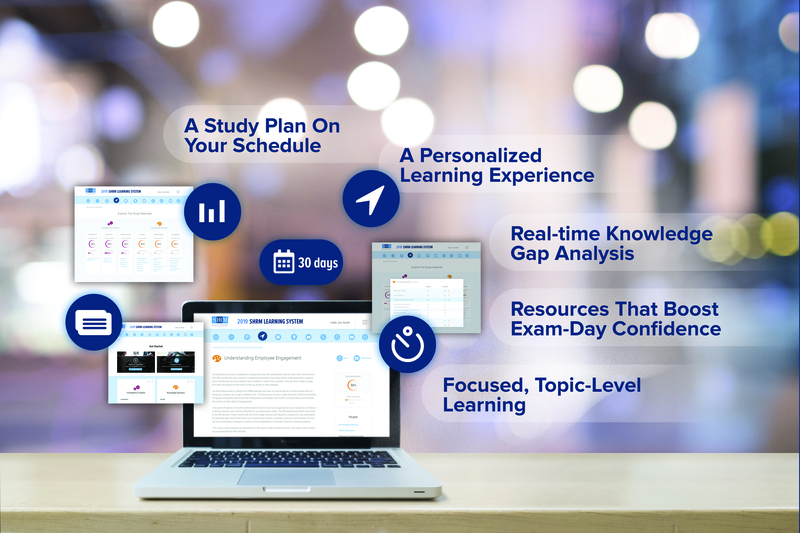 Real-time results and detailed feedback from your learning progress and quiz scores help guide your course-wide and individual study priorities and reach your goal more efficiently. Supplement your class time learning with flashcards, real-world HR knowledge, competencies in action, practice test questions and more to make sure you're ready for your SHRM-CP or SHRM-SCP exam. Will anything be shipped to me? Yes, the SHRM course materials will be sent via FedEx. Yes, the instructor will guide you through the program. Is there a designated day or time for class? No, the instructor will not have specific "class times". No, we do not have any. To become certified you will need approval from SHRM. Please contact them or check out their eligibility requirements at shrmcertification.org/eligibility. Will financial aid, scholarships or Va benefits cover the cost? No, this program is continuing education only. Is this program college credit? No, it is continuing education only. At this time, we do not have any payment plans in place. Payment is due at time of registration. No, you will need to apply through SHRM to take the certification exam.